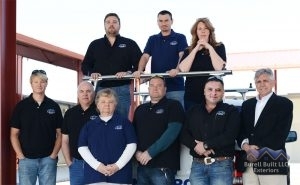 Burell Built Exteriors is a family company, owned and operated by Corey Burell. 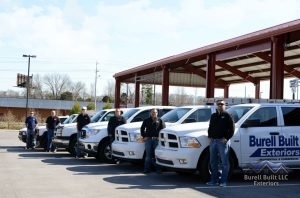 We have been serving residential and commercial customers in the Knoxville, TN and Chattanooga, TN areas and beyond since 2004. Corey’s dedication to superior service, quality workmanship, and fair pricing came about through learning what the homeowner wanted, and promising less and delivering more. He understood that a homeowner or building owner needs and wants a fair price, ease of installation, no interruption of their work or business schedule, and jobs completed on time as discussed. Burell Built Exterior’s strategically-sized operation enables us to give our customers the personal attention and quality workmanship they deserve. For those reasons, all inspections, estimates, and job quotes are free of charge and come with a summary of work and photo documentation. As an Accredited Member of both the Knoxville and Chattanooga Better Business Bureau, we are proud to say that we have never had an unresolved complaint. To read some reviews from our actual customers, click here! When you choose Burell Built Exteriors, LLC, you receive the very best! Our experience and expertise is yours for the asking. Call us today at (865) 385-6926 in Knoxville or (423) 702-4042 in Chattanooga to learn more about us, and to start planning the next roofing project for your home or business. Updated on September 16, 2016 at 1:54 pm by Burell Built Exteriors.